Vancouver Mayor Gregor Robertson announced the city expects to collect $30M in revenue from the city’s empty homes tax this year. The empty homes tax, which fines homeowners 1% of the assessed value if homes are left vacant (a home not occupied or rented for at least 6 months of the year), has already collected $17M in taxes this year and hopes to collect the remaining $13M in the coming months. Official numbers for the 2017 tax year suggest homeowners might not be truthfully declaring property status. 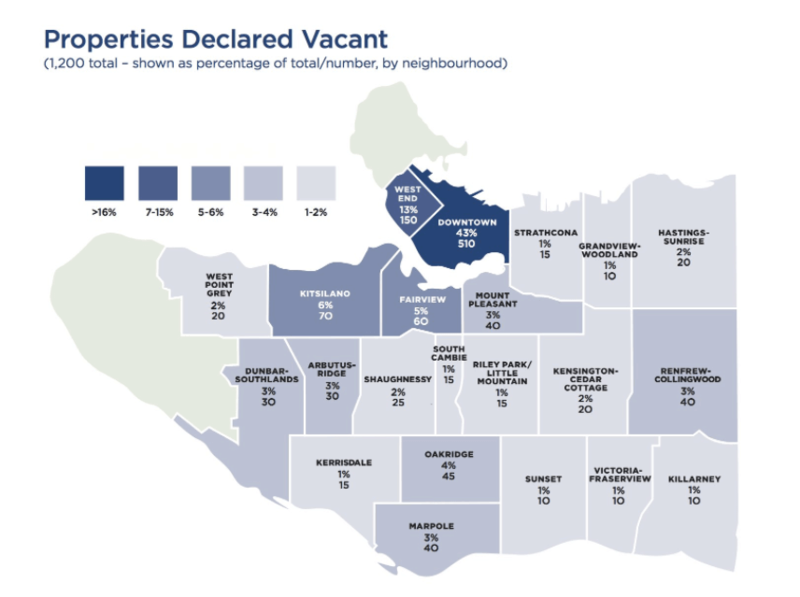 Areas widely believed to be empty, including Shaughnessy and Kerrisdale reported incredibly low numbers of empty homes. Of course, there is also a long list of exemptions granted by the city of Vancouver. However, despite the exemptions, the $30M of revenues will outpace the city’s estimated $7.4M annual budget to enforce the tax. Don’t be surprised to see those costs climb with possible legal disputes. The revenue collected this year will cover the implementation of the new tax, with net proceeds reinvested into affordable housing.